Nexight Group, a consultancy designed to creatively solve global technical and management problems, opened the doors Aug. 2 to its new office in an Energy Star labeled building in downtown Silver Spring, Maryland. 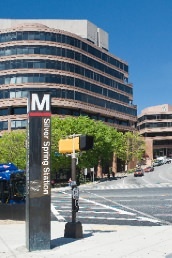 Located steps from the Silver Spring Metro station, Nexight Group is minutes from the nation’s capital and positioned to serve a wide range of national and international clients. Our office brings together highly talented critical thinkers and expert facilitators, strategic planners, and communicators in one place. We specialize in connecting global clients in the public and private sectors to produce game-changing solutions to persistent problems in energy efficiency, advanced technologies, infrastructure security and resilience, climate change, cyber security, water and resource management, and global health. Few companies know how to harness the creative energy of diverse and experienced leaders to discern innovative solutions that get results. At Nexight Group, we bring together the right people in government and industry and provide them with innovative planning and facilitation strategies that deliver what we call the “Nexight”—that critical point at which stakeholders discover a new idea, approach, or process that will effect change. It is the point at which a group facing complex, persistent challenges changes course and begins moving forward with a common direction and intention. Visit our Contact Us page for more location information and directions. Interested in learning more about Nexight Group? Explore our site or e-mail us directly!